Fatgirl Hedonist: Bulldogs, Burgers and Barbecue! Oh My! Bulldogs, Burgers and Barbecue! Oh My! Bulldog's barbecue, located in North Miami, has decided to expand its restaurant and open up a "bulldog's burgers" right next door. I had been to Howie Kleinberg's brain child restaurant a couple of times since it's inception in 2009 and was pleased with the restaurant. The new expansion is adorned with some of Howie's chef coats from prestigious events such as his Top Chef contestant coat, SOBE Food and Wine festival coat and all of his books garnish the top of the bar. Originally, the restaurant had a small home like feel, which was very nice and inviting. Upon arrival, waiters would welcome you with a warm hello and an even warmer basket of complimentary cornbread. However, since the onset of Bulldog's Burgers the restaurant has changed a bit and turned into an "A la Carte" affair and our warm cornbread can now be ordered as a side dish. Another thing that is no longer available to patrons on the table is salt, pepper, and their special barbeque seasoning blend. All three things must be requested for specifically from the waiter, which I personally thought was almost a bit ridiculous. I ended up going with the Hot Mess, only because of two things: bacon candy and blue cheese. I asked for the horseradish mayo on the side and no mushrooms and dug in. This thing truly is a a beautiful mess. The meat alone was very flavorful and juicy and the caramelized onions were soft, buttery and slightly sweet. 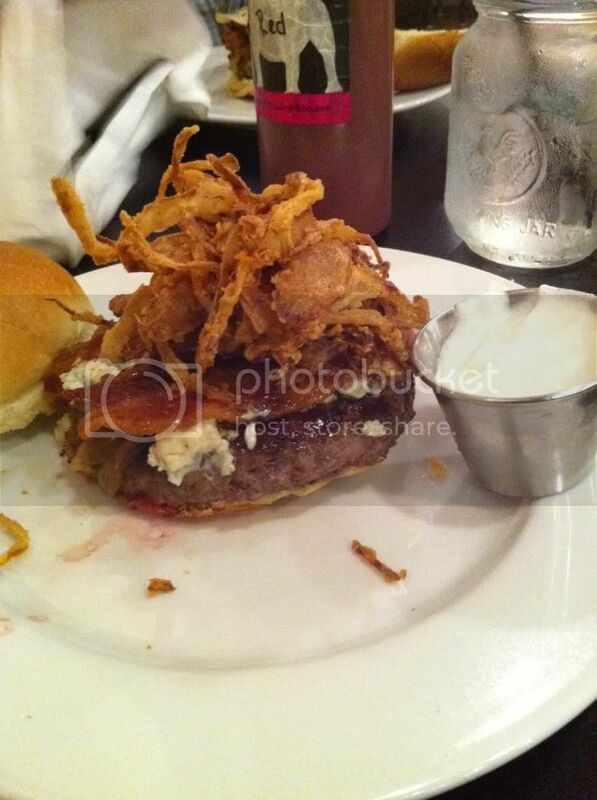 Contrarily, the crispy onions were perfectly crisp and had a certain spiciness to them which went perfectly with the blue cheese. I used the horseraddish mayo very sparingly, that stuff comes with an insane punch and should be used at consumers own risk! The piece de resistance in this burger is of course the bacon candy. Applewood bacon cured with brown sugar and then has brown sugar caramelized on top of the bacon. Just orgasmic all on its own. I also ended up going for a side of their macaroni and cheese. 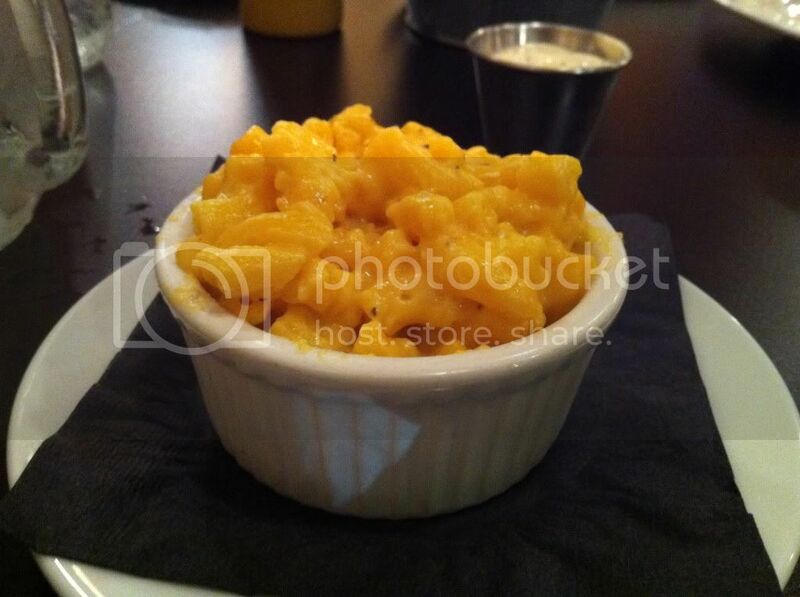 Historically, their mac and cheese has always been great, thankfully, this time it was no different. Their cheese sauce was thick and creamy and did not disappoint. The macaroni was slightly overcooked, but not enough to take away from the flavor or integrity of the dish. I sprinkled over the mac and cheese some of Howie's special seasoning blend, to give it a tiny kick. Even though the restaurant itself has gone through some tactical and practice differences, the food remains just as good. 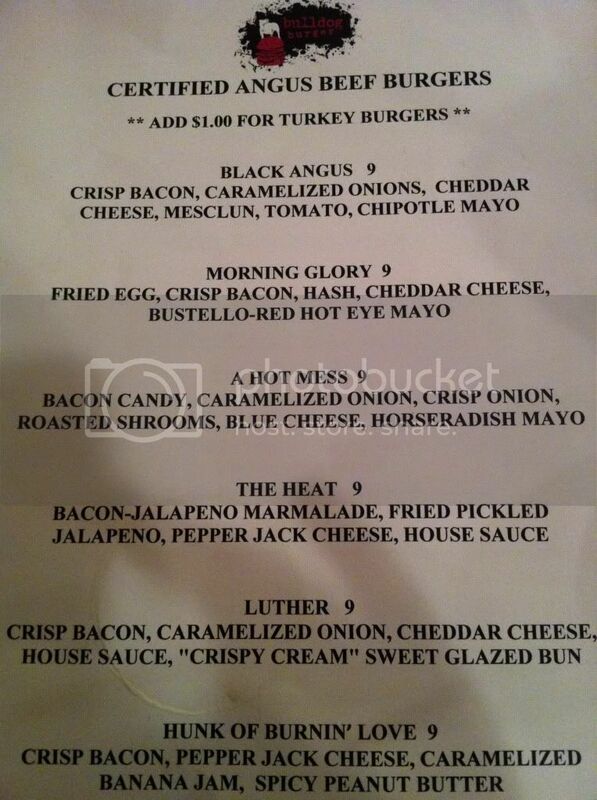 I plan to make another trip to this place to try their 'hunk of burnin love' burger. A burger with caramelized banana jam and peanut butter just sounds too interesting not to try. Hopefully it will be as tasty and interesting as the Hot Mess. This place is so good I lived right around the corner from there when I lived in Miami.